I'm hard pressed to give up my sweets, even in bikini season, but I still get haunted by the old saying "A moment on your lips, forever on your hips." So, I've learned to compromise here and there by finding something that tastes decadent but isn't going to totally bust me out of my bikini. 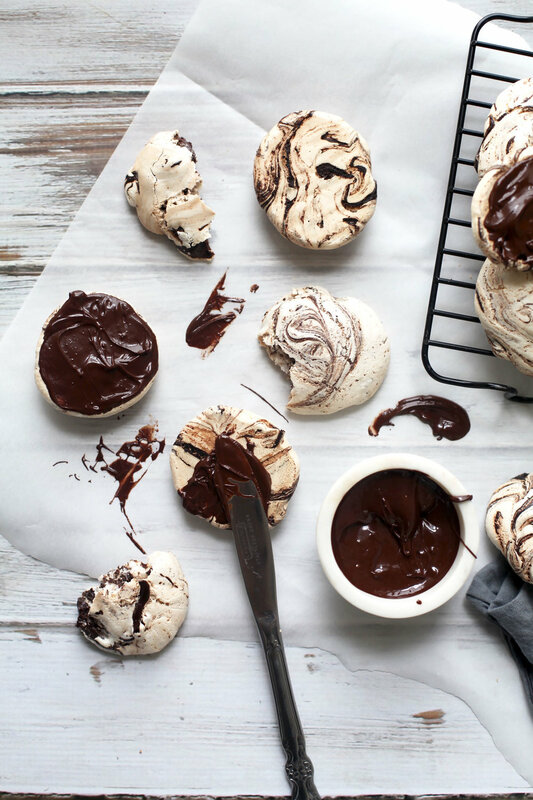 These mocha swirl meringue cookies dipped in chocolate are just one such example. 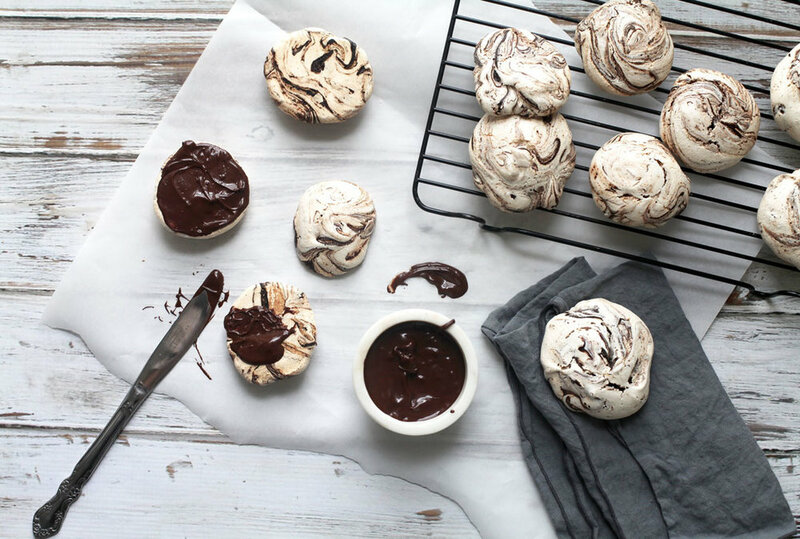 They're everything you'd want in a sweet bite, what with the crunchy outside, soft inside, and swirls of decadent mocha, but, given that they're made without butter or flour, they're totally beach season approved (at least in my book). If you're like me and just can't make the life altering decision between beach or sweets, make sure you head over to Sugar & Cloth to get this super simple recipe and you'll never have to choose between bikini or dessert again.